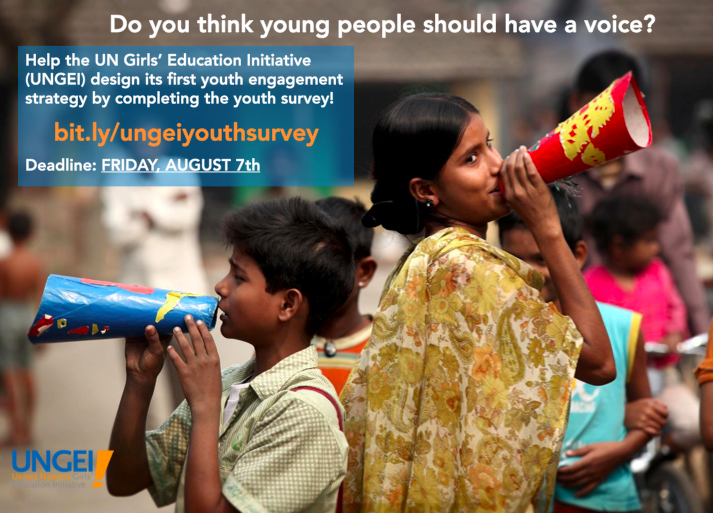 Join UNGEI Youth Consultation: Let your voice be heard! Do you care about girls’ education? To strengthen our impact, UN Girls’ Education Initiative wants to involve young people in its work in an active and meaningful way. As part of this work, UNGEI is holding an online consultation with youth. Your views will help influence UNGEI’s strategy for involving youth better around the world. Help shape the UN Girls’ Education Initiative’s first Youth Engagement Strategy by filling out this short survey. Fill out the survey here. Deadline is Friday, 7 August 2015! 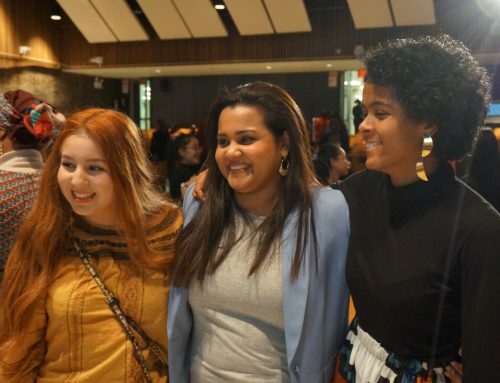 The United Nations Girls’ Education Initiative (UNGEI) is a partnership of organizations working to increase safe and quality education opportunities for girls. To strengthen our impact, UNGEI wants to involve young people in its work in an active and meaningful way. As part of this work, UNGEI is holding online and in-person consultations with youth. By Youth Admin|Tags: Education, Girls, UNGEI, young people, youth|Comments Off on Join UNGEI Youth Consultation: Let your voice be heard!